At Tamar Fink, we have strived to build a company and an intentional culture that is different from others. We focus on building and growing relationships. We believe this makes us different in how we work with each other, and different in the results we achieve. 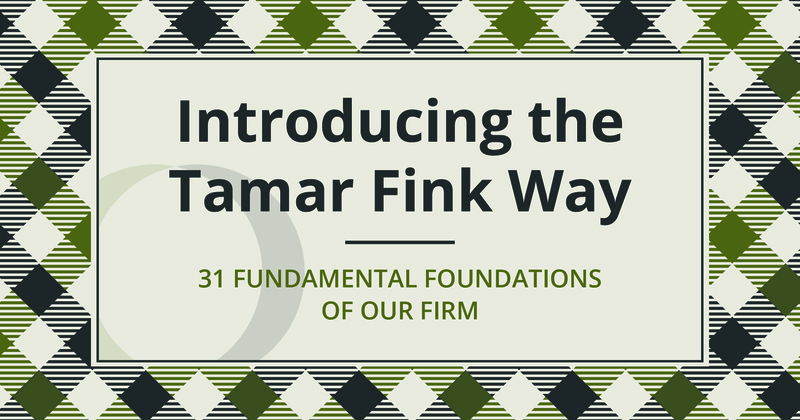 That is why we’ve worked hard to build out "The Tamar Fink Way," 31 firm fundamentals that will serve as the foundation for our unique culture, a culture with a never-ending commitment to helping families and institutions create wealth impact. Stay tuned for our TF Way posts coming soon!